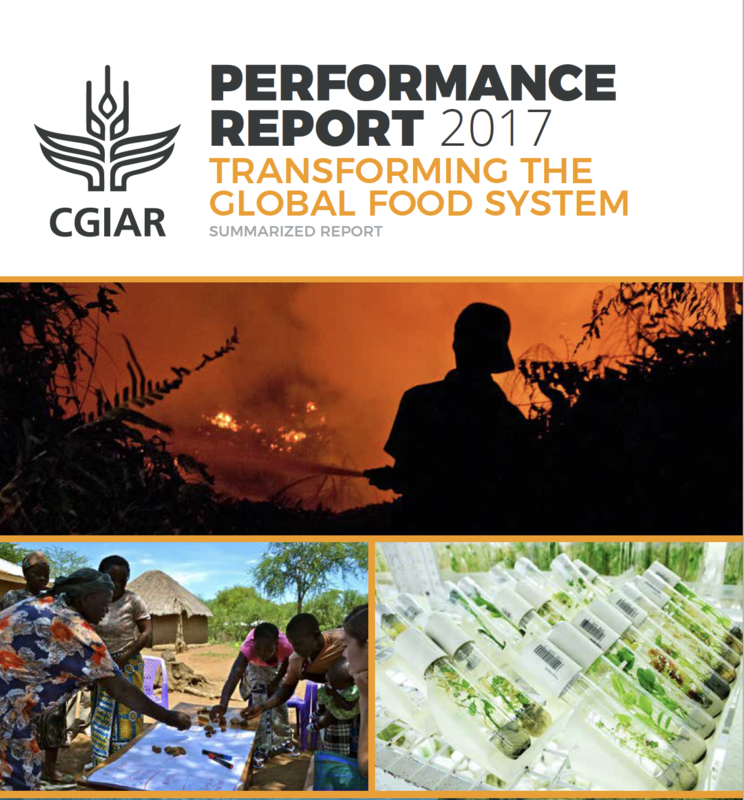 In November 2016, a new framework for performance management was approved by CGIAR’s System Council, which recognized the complexity, risk, multiple objectives and long timeframes inherent in agricultural research for development (AR4D). Drawing on a framework originally developed for Canada’s International Development Research Centrei, it conceptualized the results of AR4D as falling into three concentric spheres (Figure 1). These are: the Sphere of Control, the direct products of CGIAR research; the Sphere of Influence, where CGIAR may have some input but cannot control the outcome (such as contribution to a policy decision); and the Sphere of Interest, where CGIAR has very little control and which may happen many years after the research, such as adoption by farmers of a technology at large scale and at their own cost. Reporting credible, robust data based on checkable evidence. Aiming to report through Management Information Systems, not as a separate exercise. Not using the results mechanistically to compare research programs or in decision-making on funding. A representative range of reporting information and indicators sufficient to demonstrate progress in the spheres of control, influence and interest of CGIAR. Parsimony: minimizing the information required to that needed for accountability and decision-making, as reporting has a high cost. Components of the reporting system included the introduction of revised planning and reporting templates collecting new information from Programs (for example on the use of pooled ‘Window 1/2’ funding) and a significantly revised and streamlined set of common reporting indicators with detailed guidance. An annual system-level performance report (this report) would then draw from these. Plans were also made to scale up existing Management Information Systems, at the time used only in a minority of CGIAR Research Programs, and then link them to a central reporting dashboard. Implementing such a reporting system takes time, especially in a diverse system like CGIAR. However, there are distinct signs of progress. This report reflects the first year of reporting using the new templates and indicators. There is a mass of rich material to draw on, some of which is in the databases linked to this report. Data or supporting evidence is still incomplete in places, but the templates and guidance are being revised based on the 2017 experience and user feedback, and the improvements should be visible in future reports. In the meantime, adoption of new Management Information Systems has proceeded rapidly, and by 2019 they should cover all CGIAR Research Programs. An interactive results dashboard fed by these ‘interoperable’ systems is under construction. Monitoring and reporting form only one part of a performance system. At the moment, work is underway on a series of other important areas, including reform of program appraisal and evaluation processes, and agreeing new program performance standards, expected to be approved in November 2018. These will be covered in more depth in future CGIAR System annual performance reports. Each of the CRPs and Platforms develops an annual Plan of Work and Budget against a standard template, that sets out key Research and Development milestones2 for the year along each of the impact pathways. Typically, a CRP may have 20-30 annual milestones. Reported progress in 2017 for each CRP against achievement of each planned milestone is shown in the evidence table available in Achievement of planned milestones in 2017, together with evidence of achievement (if complete) or an explanation (if incomplete, extended for a further year or canceled). Overall progress is shown in Table 13. Each Program and Platform also submits a detailed annual report on progress. The reports include a description of major areas of variance from planned program, and any changes to the overall impact pathway. In 2017, programs reported some areas of expansion and some areas which were cut back. Expansion mostly resulted from funder and partner demand to support new areas of work which respond to topics of current policy interest. Linkages between ecosystem health, food production or systems and human wellbeing in areas such as synthetic proteins and water-related diseases (Reported by WLE). Most cuts resulted from funding cuts (for example in bilateral projects), or reluctance to invest in the face of budget uncertainty in the case of CGIAR Fund Window 1 and 2 (W1/2), and occasionally from lack of specialist staff, although one program (CCAFS) mentioned cutting back lower-performing research. This is an area CGIAR hopes to be able to better report on in 2018. The CGIAR Trust Fund provides for two types of pooled funding channel for programming carried out by CGIAR Programs and Platforms themselves, through the so-called Funding Windows 1 and 2 (W1/2). Platforms are almost entirely funded through W1/2. Research Programs used W1/2 in slightly different ways, depending on the nature of their research, relative proportion of project funding (‘Window 3/bilateral’) they received and whether project funding was able to cover certain key areas of work (e.g. gender integration, M&E) or not. The detailed results are shown in this linked table (Main areas of CGIAR Fund Window 1/2 expenditure for 2017). Nevertheless, there were some common patterns. 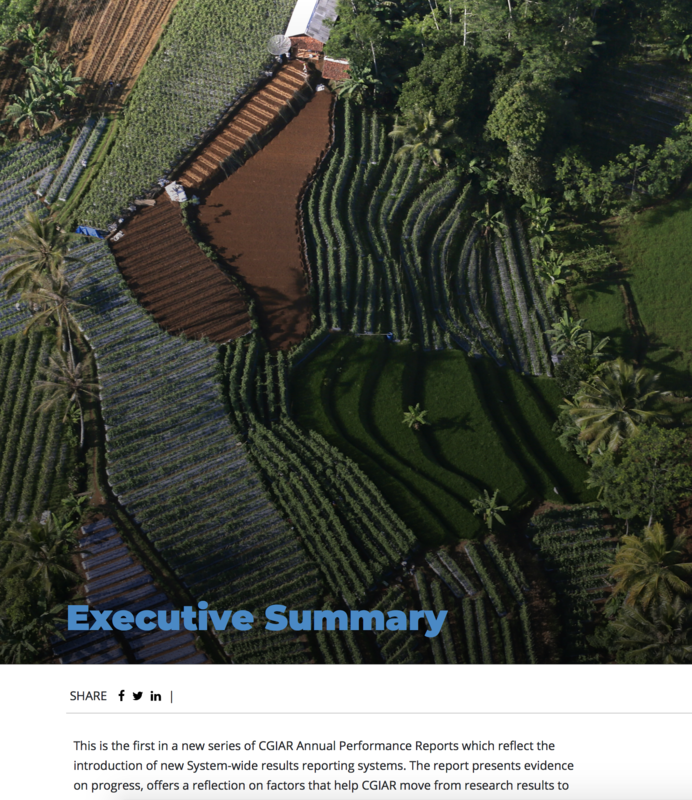 In general, Window 1 and 2 (W1/2) funding provided the backbone of RICE and catalyzed impact through strategic investments along the whole impact pathway, from upstream research to downstream development of business models and multi-stakeholder partnerships for innovation and scaling out. …The long-term nature of W1/2 funding provides the continuity to the program, and guarantees not only short-term impacts (as derived from most bilateral projects) but also long-term impacts on 5- to 10-year time scales. Most W1/2 funds were used to support …key monitoring, evaluation and learning activities across all projects, gender analyses and mainstreaming, capacity development and partnership building for scaling out and achieving impact at scale, and new initiatives (such as farm diversification, value-chain analyses). 2 A milestone can be, for example, the completion of a significant activity, such as completion of a set of trials, or a major survey; the release of a particular technology onto the market; or the production of significant new evidence about the effects of a policy or variety. Milestones may also mark important decision points in the research, for example ‘Results of trial X will inform decision on whether to continue developing technology Y or take a new direction’. 3The table does not show comparative achievement data for different CRPs, because there is strong evidence both at the international level and from previous experience in CGIAR that simplistic comparison of percentage achievement, especially when it informs funding allocation, quickly leads to goal displacement and a reluctance to take risks which are essential for high-payoff research. However, the management and independent governance bodies of each Program, which include experts in the relevant field of research and acquainted with the realities of each line of work, are expected to closely scrutinize progress and achievements against each planned milestone, and the level of scrutiny will in its turn be evaluated by system bodies and in independent evaluations. i Z. Ofir et al., “Research Quality Plus (RQ+): A Holistic Approach to Evaluating Research,” 2016, https://idl-bnc-idrc.dspacedirect.org/bitstream/handle/10625/56528/IDL-56528.pdf. ii UNFCCC secretariat, “Decision -/CP.23; Koronivia Joint Work on Agriculture: Advance Unedited Version,” 2017.